‘The India-U.S. Partnership: $1 Trillion by 2030’ is published by Gateway House. 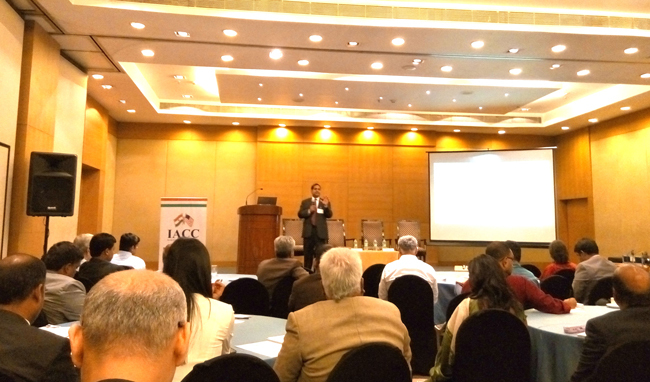 BENGALURU: “The India-U.S. Partnership: $1 Trillion by 2030”, a book authored by Nish Acharya, an Indian American university professor, was launched here by Gateway House, on August 5. Acharya, who previously worked as the director of innovation and entrepreneurship in the Obama administration, has presented ideas in the book for taking trade between the two countries from $120 billion to $1 trillion in the next 16 years. The launch was timed a month ahead of prime minister Narendra Modi’s visit to Silicon Valley, where he is expected to address a large Indian Diaspora and meet with entrepreneurs. Modi will be addressing the United Nations General Assembly in New York in September 2015. 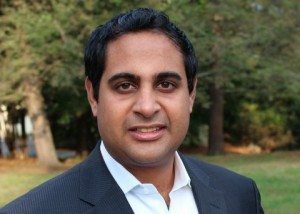 In an interview with the Gateway House, the author said: “PM Modi has to have a very clear pitch, and that is that the role of Silicon Valley is not just about Facebook building an office in India and it’s not just about venture capitalists investing in Indian start-ups… it needs to be about the culture of Silicon Valley”. Acharya has made a leadership survey about the bilateral relations by interviewing 62 leaders of business, non-profit, government, media, civil society and academia. The book highlights 31 case studies of strategic collaboration, corporate and non-profit models, and new and emerging technologies that can really charge the relationship between India and US. The case studies include the impact of technologies like 3D printing on India’s villages, e-commerce ventures like FlipKart, and that of market-entry products made by companies such as Gilead Pharmaceuticals. The book also studies the paths of successful NGOS such as The Akshaya Patra Foundation, Infosys, Vaatsalya Hospitals, and Sulabh International. Apart from the book release, the daylong event had panel discussions on ‘creating a surge in US investment in India’, ‘Silicon Swadesh’, and ‘the next generation business opportunities in India’. Gateway House, the publisher of the book, is a foreign policy think tank based in Mumbai. Mohandas Pai, Chairman of the Manipal Group, Bunty Bohra, Managing Director of Goldman Sachs India, Phillip A. Min, U.S. Consul General, Chennai and others participated in the event. Nish, you’ve written a book with Gateway House on how the U.S.-India partnership can be elevated to $1 trillion by 2030. How do you envision this? So I think it has to start with a very focused effort on what needs to be done for both nations, and what role each nation can play in that. So in other words, what does India need to do to really boost its economy in order to become the third largest economy in the world on par with the Chinese and the United States— and what’s the role of the United States in helping India do that? Likewise, what’s the role of India’s economic organisations – its NGOs, its companies – in helping the United States’ economy to continue to be one of the most robust and largest in the world. I have identified essentially two things that are common across the board, that’s: (a) capacity building – the need to build up the capacity of Indian companies and organisations to execute at a high level, and (b) the role of innovation in bringing in new ideas, new business models, new technologies, new products and services, to help the citizens of India. Likewise it’s a similar set of things where Indian companies and organisations can help the United States build capacity in a new global economy where costs are lower and budgets are tighter. Also, innovating for the same reasons: that there’s more complex needs and issues to be dealt with, and they have to be dealt with through innovation—and sometimes the Indian organisations have figured it out before the American ones have. Over the course of your research for the book, you interviewed about 62 people from various industries and sectors. So who are the kinds of people you spoke to and what did you find out? I think this might be one of the most comprehensive set of interviews about the U.S-India relationship that’s been done. I spoke with not just government people, not just business people, but really a broad range of leaders across both sectors in both countries. On the business side, people such as Vivek Pal, the former CEO of Wipro; Mohandas Pai of Manipal Group and Bunty Bohra, the CEO of Goldman Sachs, India, among others. On the government side, the Assistant Secretary of State for South Asia on the U.S. side and the Deputy Chief of Mission Tarunjit Sandhu from the Indian side, and several senior advisors to ministers in India. And then on the NGO side, people like Vandana Goyal who runs Akanksha in India, Jonathan Redford who runs Habitat for Humanity worldwide, and many, many others. So I think that’s what is unique about this paper, is that it really reflects the view of the “do-ers” in the U.S.-India relationship, more so than just the politicians or the talkers or the Fortune 500. PM Narendra Modi is going to be going to Silicon Valley at the end of September and addressing the Indian diaspora. In the Book you introduced an idea called “Silicon Swadesh”, which is about creating multiple Silicon Valleys in India. What should Narendra Modi’s pitch be and how can he help bring about the Silicon Swadesh that you talked about? PM Modi has to have a very clear pitch. That is that the role of Silicon Valley is NOT just about Facebook building an office in India or a venture capitalists investing in Indian start-ups. It needs to be about much more. It needs to be about the culture of Silicon Valley. So what I often talk about is the fact that a venture capitalist will often see a thousand business plans and they will actually fund about 10 of those, and only 1 to 2 are successful. So the success of Silicon Valley or Boston or New York, Tel Aviv, is really that there is a volume of start-ups there that are active. There are thousands and thousands of start-ups in every sector that compete and only a few are successful. What India needs is an ecosystem in its major metro areas. Right now you see some of it in Mumbai, Bangalore and Hyderabad, but not in Delhi, Ahmedabad and other places where you would like to see it as much. India needs to build that culture of start-ups in those major metros, but also it needs to bring that level of experimentation and of project development to the tier-2 cities that have over a million people, which is roughly about 35 cities. In these cities you need to develop leaders, you need to develop entrepreneurs, you need to let them succeed and fail. We need to find ways of supporting those entrepreneurs, whether its philanthropy, government, or private corporates and we need to build that culture of success and failure. What are some nice snippets from your book that we can give our readers, a teaser before they get their hands on the book? So that’s a good question. One the Indian side, one of my favourite stories is about Harley Davidson. Usually if it’s a well-known American brand, they come in and then there are protests or political problems. And yet Harley has come in and over the course of five-six years, they’ve built a following, they’ve figured out how to attract Indian customers without attracting any sort of political backlash. And I think that’s a great story, it’s an example of what we want to see. On the U.S. side, I think the story of GenZe and what Mahindra is doing there. It really speaks to the insights of the Indian company and their plans for the United States. They’re designing this two-wheeler in Silicon Valley where innovation is king, and they’re building it in Detroit. It’s a good example of how Indian companies are being very smart about the United States. So I think those were two of my favourite cases to look at in that sense.